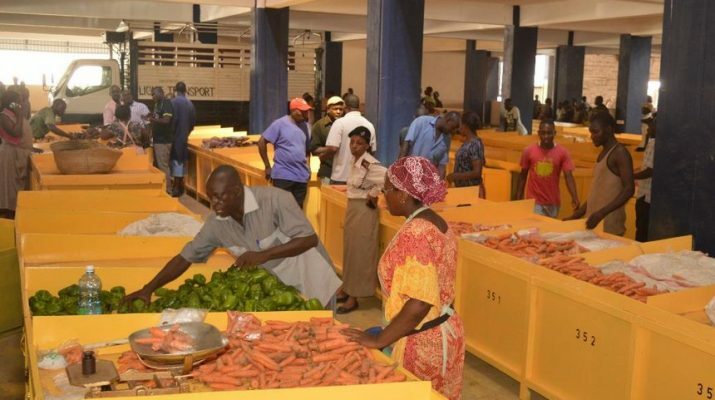 Low-income earners hit hard by food prices spike – Kenyatta University TV (KUTV). All Rights Reserved. A simple meal of ugali and sukuma wiki cost poor households about 40.16 per cent more last month compared to a year ago, an analysis of official data shows. Similarly, low-income earners who rely on githeri (mixture of maize and beans) for lunch or supper also paid 27.04 per cent more on average. The growth in cost of a meal is even higher when fuel and cooking oil or fat prices are included, the national average retail prices of select commodities compiled by state statistician, the Kenya National Bureau of Statistics, showed on Friday. President Uhuru yesterday increased minimum wage by 18 per cent for the first time in two years. Average minimum wage, excluding house allowances, is Sh12,136 in all other towns and Sh15,357 in Nairobi, Mombasa and Kisumu. “I am aware the workers on the lower income bracket are struggling to afford basic necessities. It is not fair that they should be taxed heavily,” he said in a speech during the Labour Day celebrations in Nairobi. The KNBS data showed that a kilo of maize, beans and Irish potatoes cost an average of Sh303.38 last month from Sh238.80 in April 2016. On the other hand, consumers paid Sh198.36 for a two-kilo packet of sifted maize flour and a kilo of sukuma wiki. This underlines the impact of ravaging drought since the last quarter of 2016 on the living standards of the low-income earners. Food prices rose 20.98 per cent on average year-on-year last month, the KNBS said. This pushed up inflation – the annual rise in cost of goods and services – by 11.48 per cent in April. The cost of living last month hit a 57-month high after rising from 10.28 per cent in March. The price of a kilo of sukuma wiki jumped the highest at 63.29 per cent year-on-year to Sh62.49, while the cost for cabbages rose 54.84 per cent to Sh85.39 a kilo. A kilo of loose maize grain averaged Sh56.18, a 36.54 per cent rise from Sh41.15 a year earlier, while a two-kilo of sifted maize flour rose 31.26 per cent year-on-year to an average of Sh135.87. Consumers are paying 10.52 per cent higher for 50 units of electricity at Sh590.49, the official data shows, from Sh534.30 the year before. Cooking gas, however, cost 9.01 per cent less to Sh2,063 for 13-kilo cylinder. Analysts at Cytonn Investments said they expect inflation to continue rising at least up to the month of June. They cited depressed rains which continue to push up the cost of food, weakening shilling on the strengthening US dollar globally, gradually rising global oil prices which will increase domestic production cost and increased expenditure in an electioneering year. “We expect upward inflationary pressures to persist in the first half of 2017,” the analysts said in a report.